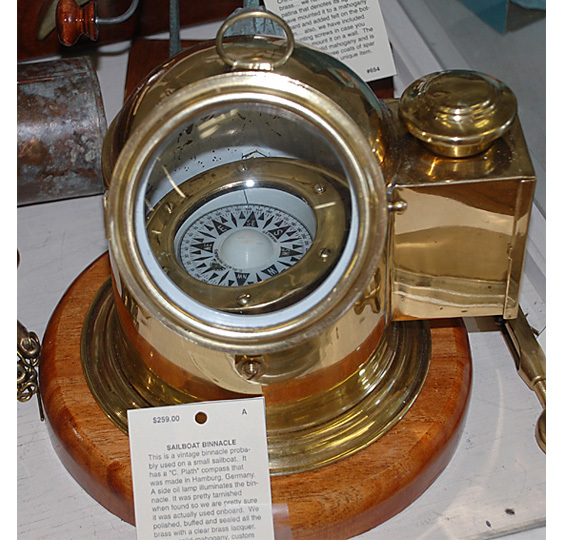 This is a vintage binnacle probably used on a small sailboat. 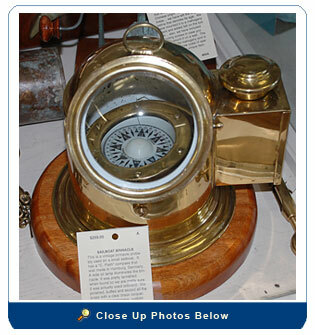 It has a "C. Plath" compass “gimbaled” that was made in Hamburg, Germany. A side oil lamp illuminates the binnacle. It was pretty tarnished when found so we are pretty sure it was actually used onboard. We polished, buffed and sealed all the brass with a clear brass lacquer. A new, solid-mahogany, custom mounting board was made for it. The compass is as accurate as the day it was made. Size: 8’ high, 9” wide (wood adds a couple more inches to the base). The compass diameter is 4”.